Kheer is one of the most popular and favourite Indian dessert. You will come across a variety of kheer. 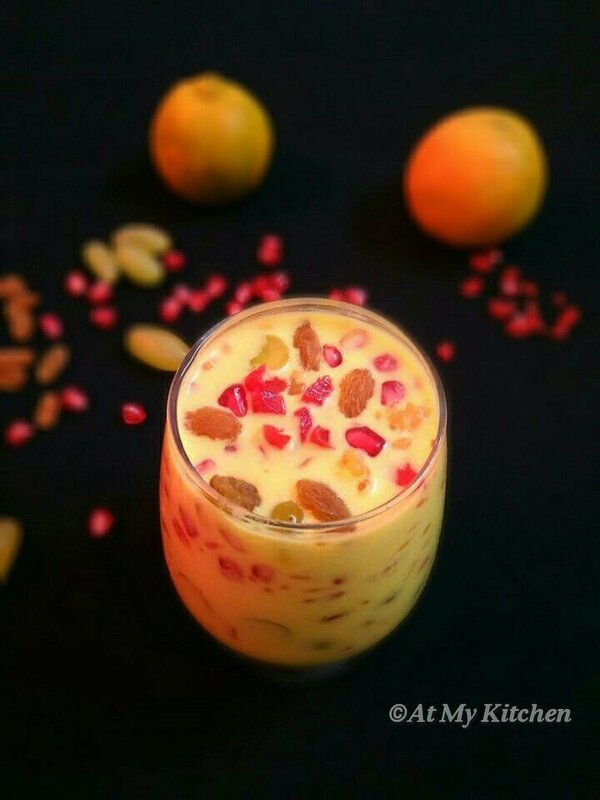 Kheer is made of rice, milk, nuts and saffron for flavour. 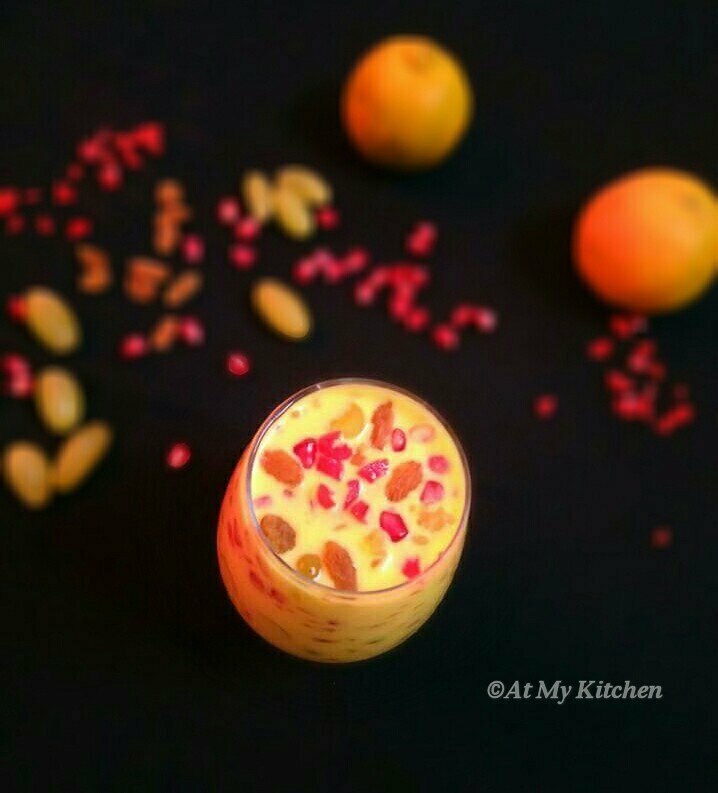 Today I am sharing my version of kheer “Mixed Fruit And Nuts Kheer” flavorful and healthier. 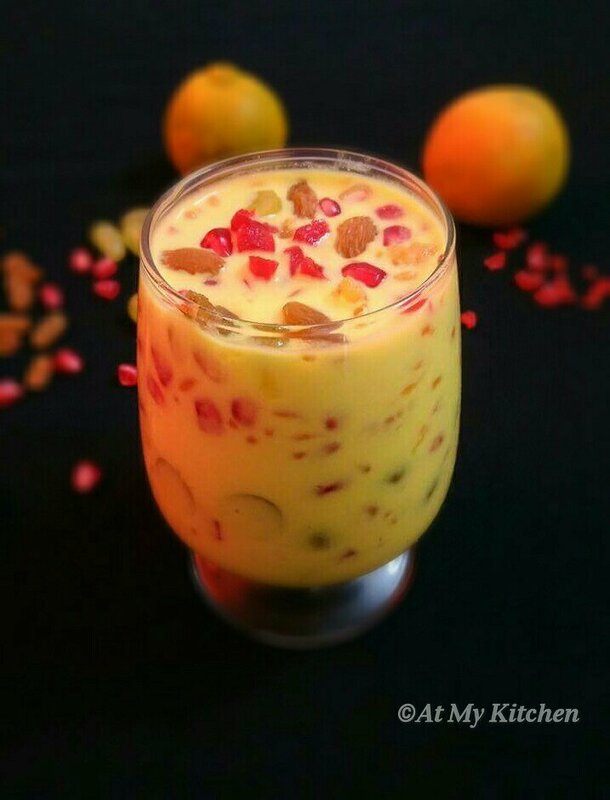 I have used rice flour, nuts, dry fruits, fresh fruits and flavored with saffron. This kheer is very easy and quick to make and it doesn’t require any fancy technique or cooking skills. 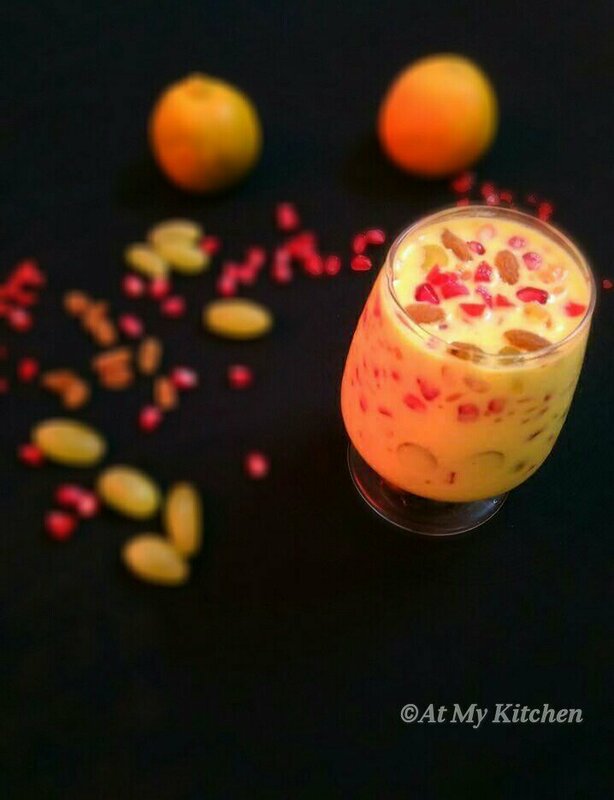 It can be made for any festival, occasion or celebration or can even made as a sweet dish and serve after a meal. I hope you liked the recipe. Do try and let me know how it turned out. I would love to have your feedback 😀. Here the rice flour I have used is coarsely grounded. Soak the washed rice in water for sometime. Drain and let it dry not necessary to dry it completely. Now pulse it in the grinder for few seconds. Take the saffron strands, pistachios, almond and cashewnuts and grind them into fine powder. You can keep it coarsely grounded too. Keep aside. In a sauce pan add the milk and bring to boil till it reaches ¾ of its quantity. Add the rice flour and continue to cook stirring frequently to prevent from burning. Stir nicely so it doesn’t form any lumps. Cook for about 5-10 mins till it begins to thicken. Add the powdered nuts and sugar, mix well and stir nicely. Cook for few mins and adjust the consistency, the mixture will change its colour and a nice aroma will come out of it. Take off the heat and let it cool down. Add the fresh fruits, raisins and cherries, mix well and serve or refrigerate for sometime and serve chilled.